Watch full Ginga Eiyuu Densetsu Season 1 Episode 12 English Subbed full HD online. Ginga Eiyuu Densetsu Episode 12 English Subbed online for free in HD. Invasion of the Imperial Territory. 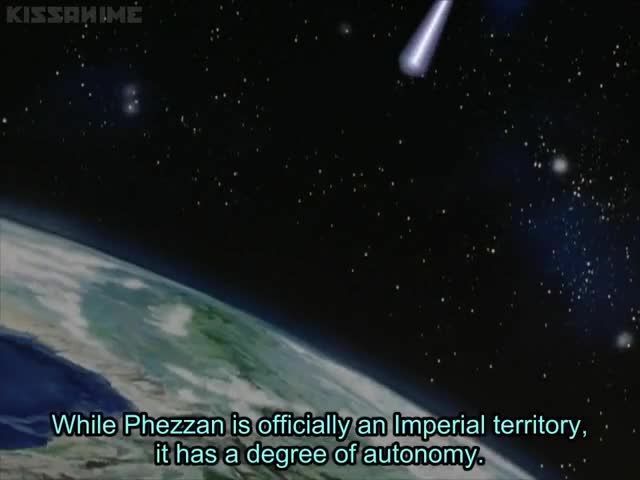 In the Free Planets Alliance, the capture of Iserlohn has intoxicated the public, the military and the politicians. It is possible to invade the Empire from Iserlohn, and many people think it’s time to conclude the crusade against tyranny. In the High Council, Joan Lebello (Secretary of Treasure) and Hwan Lewi (Secretary of Human Resources) think it’s better to sign a peace treaty because the economy is on the verge of collapsing, but the Chairman explains that they will lose the next election unless they achieve a substantial military victory, so the High Council decides to invade the Empire; only TrÃ¼niht sides with Lebello and Lewi. The invasion plan is drafted by commodore Andrew Fork, an ambitious man so sure of the righteousness of the war that he discards any objections, especially those made by Yang, as siding with the enemy. The Free Planet Alliance will send a force of 8 fleets, 30 million men and 200 000 spaceships under the command of admiral Lazar Lobos, with admiral Greenhill as second-in-command. Meanwhile, in Phezzan, Rubinsky warns the Imperial High Commissioner that the Free Planets Alliance is planning a full scale invasion of the Empire.